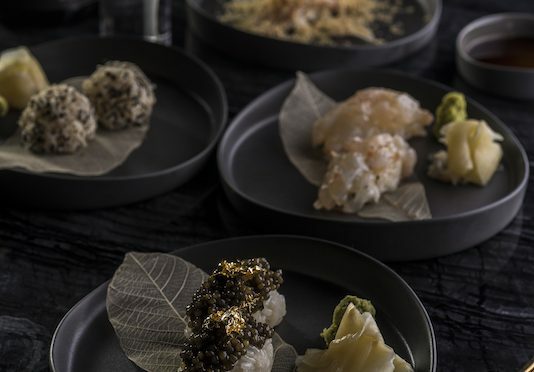 <<Hong Kong – 1st April, 2019 >> HAKU takes innovative Japanese cuisine to new heights with the launch of Executive Chef Agustin Balbi’s latest spring menu. Curated from the highest quality seasonal Japanese ingredients hand-picked by Grand Chef Hideaki Matsuo, HAKU’s new menu brings guests on a journey reflective of Chef Balbi’s career as a chef born in Argentina, trained in the USA and Japan, and finally, landing in the cultural melting pot of Hong Kong. While simultaneously respecting age-old Japanese culinary traditions, Chef Balbi fuses his personal and modern touches to a new spring menu crafted from memories of his most cherished experiences. With a dedication to support small local farms, HAKU currently prides itself on a fresh and colourful library of home-grown produce plucked straight out of organic farms in the New Territories. Throughout your dining experience at HAKU, look out for the use of local produce such as nasturtium leaves, nasturtium flowers, violas, fennel flowers, fire feathers, verbena, alyssum, black tomatoes, carrots, green leaves, begonias and more. Priced at HK$1,480+10% per guest, HAKU’s new 11-course menu is a tribute to Chef Balbi’s authentic and progressive style of cooking, while respecting the Japanese traditions of Grand Chef Hideaki Matsuo. Guests will start with welcome bites, which include HAKU-style Tapioca / Foie with Aori ika ink chips, roasted sweet onion and pan-seared foie, and Egg / Caviar with cold chawanmushi and smoked Kristal caviar. 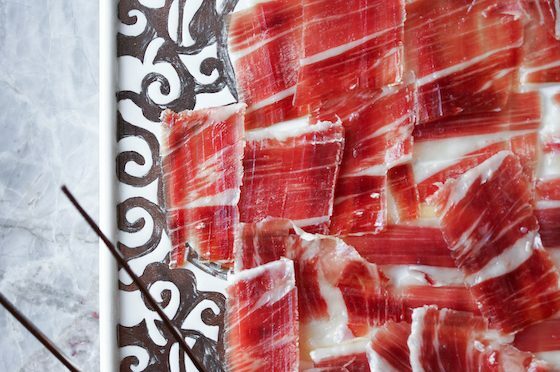 The snacks are followed by the first dish, Dashi / Jamon, a truly heavenly food combination, made with slow-cooked daikon, mochi, Spanish bellota ham and citric zest. In an effort to reduce imports, Chef Balbi decided to create a new dish that represents the food that grows around us – Vegetables / Miso. From Hong Kong’s own backyard, Chef Balbi has taken freshly foraged local organic vegetables, edible flowers and herbs to pair perfectly with HAKU’s homemade miso. Lobster / Olives is an umami-packed dish of cauliflower puree, lobster sauce, lobster meat and a finishing of black olives and savoury shio-konbu (boiled, salted and dried kelp). This is followed by Suzuki / Tomatoes, a charcoal-grilled Japanese sea bass with Fukuoka clams, tomato sofrito, jamon and tomato water. Iberico Pork / Seaweed is a sumptuous meat course, created with premium dry-aged Iberico pork cooked on the grill, zucchini canelón roasted eggplant, lardo, peppers, star moss seaweed and plankton sauce. Inspired by the arroz caldoso his grandmother Lola prepared throughout his childhood, Chef Balbi has crafted Rice / Abalone in fond memory of her. In this version of the dish, Chef Balbi uses kuro awabi (abalone), Kurokashiwa chicken and the famously firm and glossy Yumepirika rice from Hokkaido. This is a dish that sums up HAKU’s philosophy at its best, through the effortless combination of traditions and premium ingredients within a comforting dish. For dessert, guests are treated to the versatile Japanese green apple (Apple / Daikon) served in a medley of ways: cooked in sake syrup, as an apple jam, as an apple sorbet and as a crumble, finished with daikon-infused apple liquor. Finish on a light and palate-cleansing note with Meringue / Yuzu, a soft meringue tart with Japanese yuzu curd. The HAKU journey concludes with a series of Sweets, which are subject to change according to the seasonality and availability of ingredients. Charcoal grilled Japanese sea bass, Fukuoka clams and tomato sofrito, jamon and tomato water. Caldoso style, with yumepirika rice, black abalone, chicken and chorizo De la Vera. Cooked in sake syrup, apple jam, crumble, apple sorbet and compressed daikon in liquor. Japanese Yuzu curd, soft meringue, tart shell. A giant of traditional Japanese Kaiseki, Chef Hideaki Matsuo has overseen the kitchen at 3-Michelin starred Osaka restaurant Kashiwaya for over two decades. A Relais & Châteaux chef, Chef Matsuo’s haute Japanese cuisine and dedication to the art of Japanese tea seen him become one of his country’s most celebrated culinary figures. Agustin Balbi, Executive Chef of HAKU, was named Best New Chef 2016 by T Dining by Hong Kong Tatler. His diverse international experience is reflected in beautifully prepared contemporary dishes that are heavily inspired by his work in Japan. 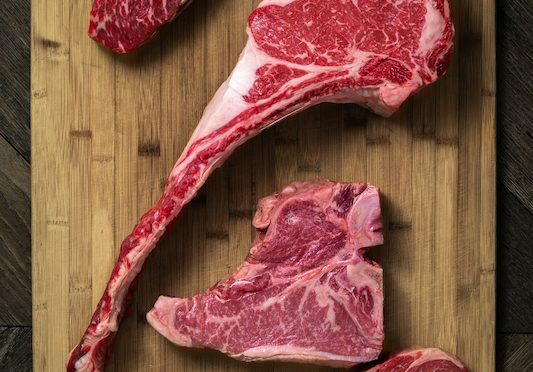 HAKU represents the culmination of Matsuo’s philosophy and Balbi’s technical prowess, using only the freshest and highest quality ingredients flown in daily from Japan prepared in the traditional Japanese way and accented with innovative European twists.